This evening saw the Netherlands face Spain for their first match in the group stage of the 2014 Fifa World Cup. 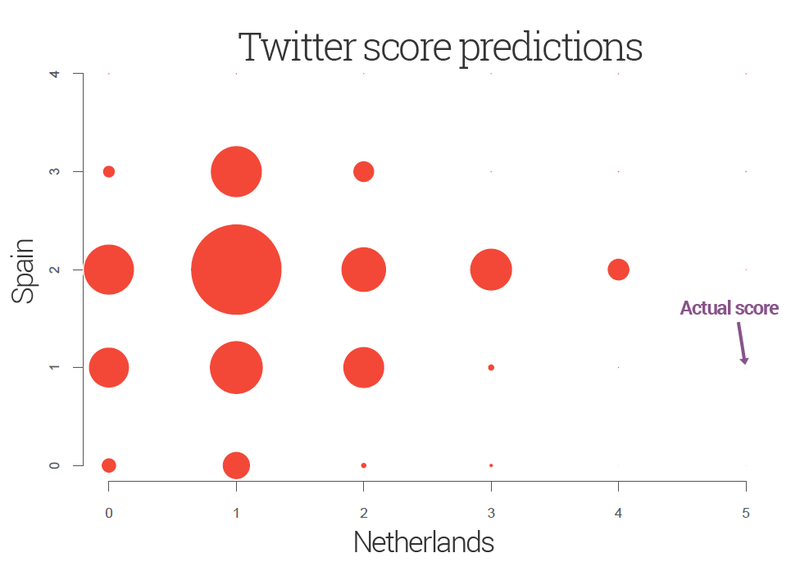 604 score predictions were made on Twitter in the hour before kick-off. When the final whistle blew, 100% of them had missed the mark. The Twittersphere overwhelmingly tipped a 2–1 victory to Spain, the reigning world champions. A bit of a shame, then, that the Netherlands trounced them 5–1. Maybe the animal pundits will do better.